Looking for something to spice up your wine tasting? Potter Wines has a new tasting room in Garden City that adds a little heat to your glass. Crystal and Von Potter started the business seven years ago, and along the way decided to make something unique: a wine with both grapes and the spicy pepper. Crystal said she wasn’t so sure at first. But after six months of tinkering and aging, Von had her convinced. The Potter Wines team began selling their products at the Boise Farmers Market in 2014 and later expanded to the Capital City Public Market. “Those two markets really catapulted us,” she said – noting that they will keep doing the markets in the future. Fans of the product can visit the new tasting room in Garden City, part of a burgeoning row of adult beverage makers. 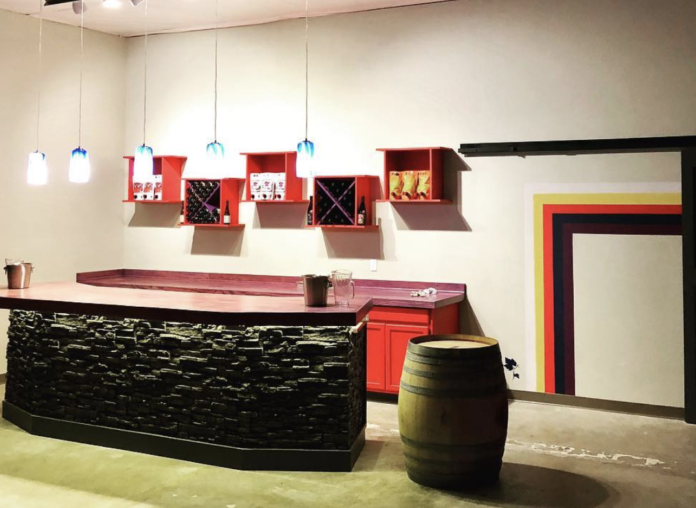 Potter Wines opened in the former Idaho Book and School Supply space on Chinden Blvd. near 52nd Street earlier this month. They are lined up with tasting rooms for Meriwether Cider, Barbarian Brewing and another newcomer, Frenchman’s Gulch Winery. Dan Minnaer at Thornton Oliver Keller said Potter is leasing 3,300 square feet of space for the tasting room and production. Crystal said the synergy between businesses has been great so far. The businesses collaborate to bring food trucks and events to the parking lot throughout the year. Crystal said they were excited to get open before the holiday, and business has been strong so far. They are staying open a little later than many wineries to accommodate the after-work crowd, and are kid-friendly. Potter Wines is serving Thursday-Sunday, and offer drinks both by the glass and in packaged varieties to take home.